With Suriya’s Singham 3 moving back from this week’s race, Vishnu Manchu’s Lakkunnodu has come forward as the solo big Telugu release. But looks like this week will be dominated by some much-awaited Hindi films. SRK’s Raees and Hrithik’s Kaabil will be hitting the screens this Thursday and the buzz surrounding these film is huge. 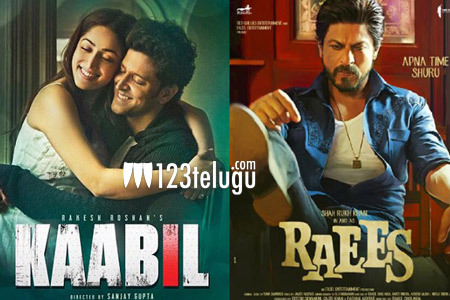 With Kaabil releasing in Telugu as Balam, the entire onus in on these Bollywood projects. After a long time, two Hindi big budget films are coming together and the craze for these films in Tollywood and major A centres is quite good. Meanwhile, Vishnu’s Lakkunnodu is also carrying some very good reports and let’s hope that it comes out in flying colors.